(b. 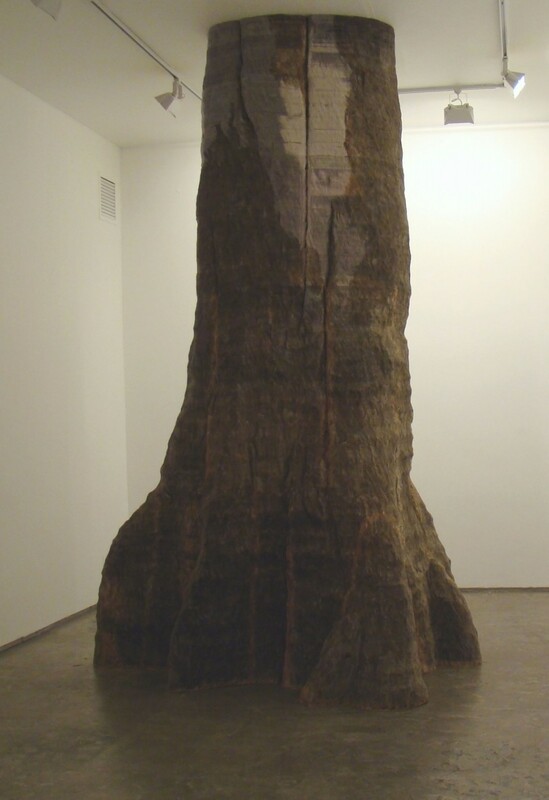 1973 in Bogotá, Colombia) Colombian artist Miler Lagos has created an extensive body of work that engages the forms and histories of trees. Often composed of books, paper, or recycled newsprint, these works reference the original living source of their materials. 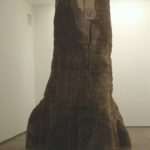 For Lagos, the tree is an expression of knowledge, time, and the exquisiteness of nature’s design.On the occasion of Unsettled Landscapes, Lagos pays homage to the majestic Ceiba tree with a new work titled The Great Tree. Standing over 14 feet high, this massive paper sculpture is carved from over three tons of recycled newsprint: to create it, Lagos unfolded, stacked, bound and carved thousands of pages from Santa Fe’s local newspaper, the Santa Fe New Mexican.